In order to provide for better support and local contacts, MSSWA is divided into twelve regions. These regions are generally determined by the county in which you work. You can learn about the region that fits for you by reviewing the legend below. 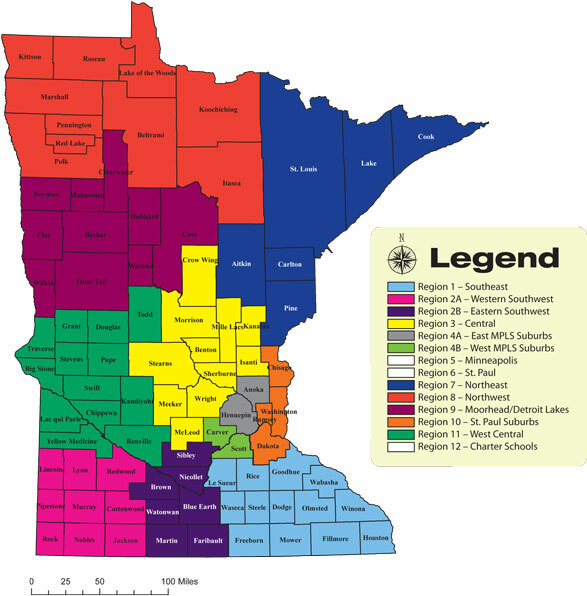 The Minneapolis school district makes up Region 5 and the Saint Paul School District makes up Region 6. Region 12 is specifically designed for school social workers in charter schools and/or alternative schools. You can reach out to your region representative through email. You will find the list of representatives below.